That is why identifying and creating the habits that will support you in achieving specific results is a powerful way to set yourself up to succeed. However, we often overlook the need to focus on mindset habits. That is because they are often so deeply ingrained that we do them subconsciously on autopilot. As a result, you might not even be aware that you have mindset habits that are sabotaging progress and results. To make sure you are not being held back by self-sabotaging mindset habits, it is important to increase your awareness of what your mindset habits are and what impact they are having on your behaviour and results. Once you are aware of them and the impact they are having, you can be proactive in creating better mindset habits that will support you in achieving the results that matter most to you. What we tell ourselves about who we are becomes our reality. That is because if you tell yourself the same stories over and over that becomes what you believe about yourself. 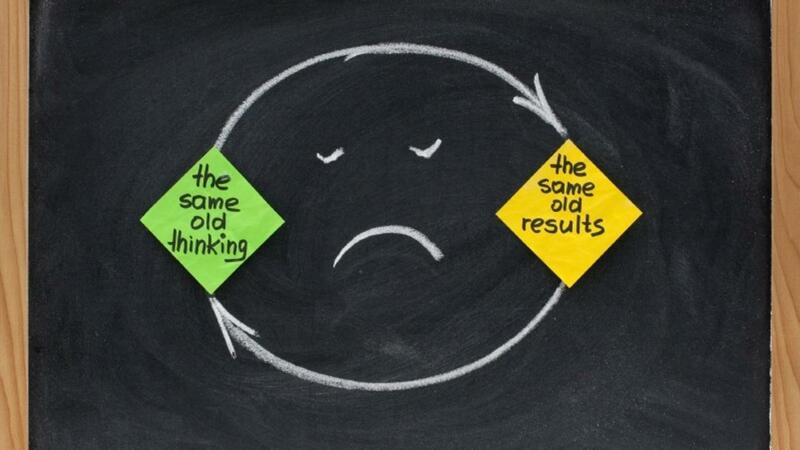 It becomes a habitual thought pattern that heavily influences how you behave and your results. If you have a mindset habit that is rooted in self-doubt and negative self-talk you are less likely to take the actions that will achieve the results you desire. Finding a way to break the mindset habit of self-doubt helps you to get out of your own way. What self-doubt stories and negative-self talk do you tell yourself? What impact are they having on you, your behaviour, and your results? What will you do to start creating a mindset habit of self-belief? What stories do you need to start telling yourself? What do you choose to believe about yourself moving forward? If you proactively work on those things, they will start to become your new mindset habits. A limiting belief is something that you believe that holds you back from what you want to do, achieve, or feel. For example, if you want to achieve a new goal or create a change in your life or work, you might tell yourself, “that is so hard and difficult I won’t be able to do it.” That is a limiting belief. Something being hard and difficult doesn’t mean you won’t be able to do it. But with that belief you are less likely to take actions that will move you forward. You are less likely to be resilient in the face of setbacks or challenges because you believe that when it gets hard you won’t be able to do it. If, on the other hand your belief was “that is hard and difficult, but I will figure it out and just take the first steps,” that will likely create a different behaviour pattern that is more likely to achieve the results you desire. You are more likely to take actions consistently and persistently, even in the face of setbacks and challenges. What you believe about something will either help move you forward or hold you back. Therefore, any limiting beliefs you hold are likely to sabotage your progress and results. Identify any limiting beliefs that you might have. How do they impact you and the results you want to achieve? Commit to dealing with any limiting beliefs you have. Excuses and blaming is a way of letting yourself off the hook from taking full responsibility, finding a way forward and taking action. You are less likely to look for solutions. As a result, you risk not achieving the results you really want. Those are excuses or blaming things external to yourself. It serves no useful purpose. Excuses and blame don’t create solutions and results. That mindset habit won’t support you with achieving results. Instead, focus on fostering a mindset habit of becoming solution focused. How to Stop Bad Mindset Habits from Sabotaging Your Results. The first step in any change is awareness. So if you want to make sure your mindset habits aren’t sabotaging your progress and results, take some time to identify what your mindset habits are and if they are setting you up to succeed or are sabotaging your progress and results. Commit to finding ways to improve your mindset habits. Never underestimate the impact mindset habits can have on your results. They have the power to set you up to succeed or sabotage your progress and results.